On Sunday 10th January we ran our annual Start of Year course, or Shinnenkai. This is a borrowed tradition from Japan whereby students get together in the Dojo to ‘kick start’ the year in a really positive way. 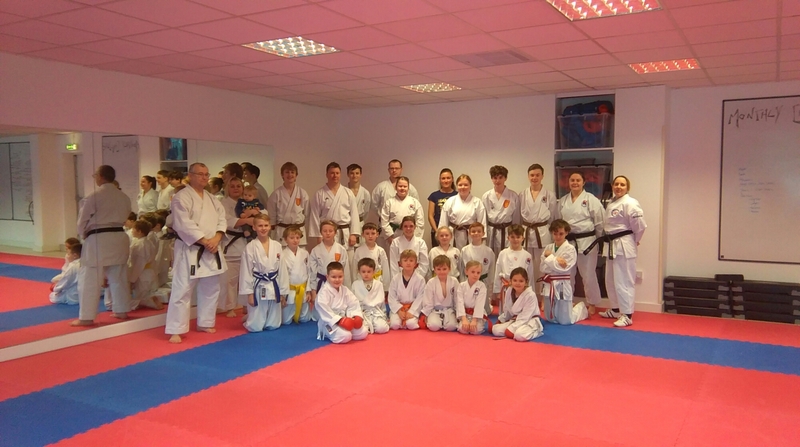 We were particularly pleased with the number of beginners training, with this being the longest most of them have trained in Karate in one go. Because it was a longer session than normal, we could cover a lot more, with students able to progress to the next Kata, and some tried sparring for the first time and do some aspects of Karate that we don’t always have time to cover in weekly sessions. Also, a special mention to some of our elite students. They were training in Leicester yesterday with the Wadokai England squad, and despite this being their sixth day of Karate training in the last 7 days (we let them have Thursday off), they still made it to the course. That’s dedication. This entry was posted on January 10, 2016 by hartlepoolwadokai. It was filed under Uncategorized .